The Society was founded in 1870 and our first inaugural lecture was held on November 10th of that year. Since the outset, the Society has been affiliated to the Birmingham and Midland Institute. It later became the Birmingham Archaeological Society but with the publication of its centenary volume No. 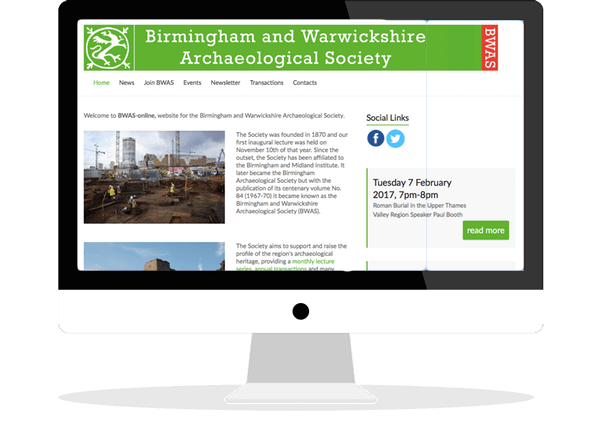 84 (1967-70) it became known as the Birmingham and Warwickshire Archaeological Society (BWAS).